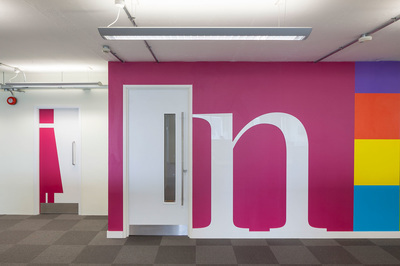 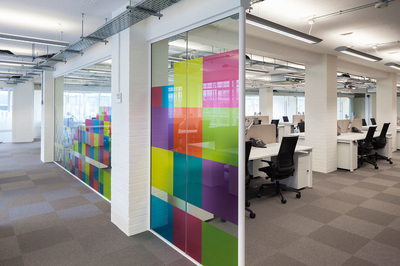 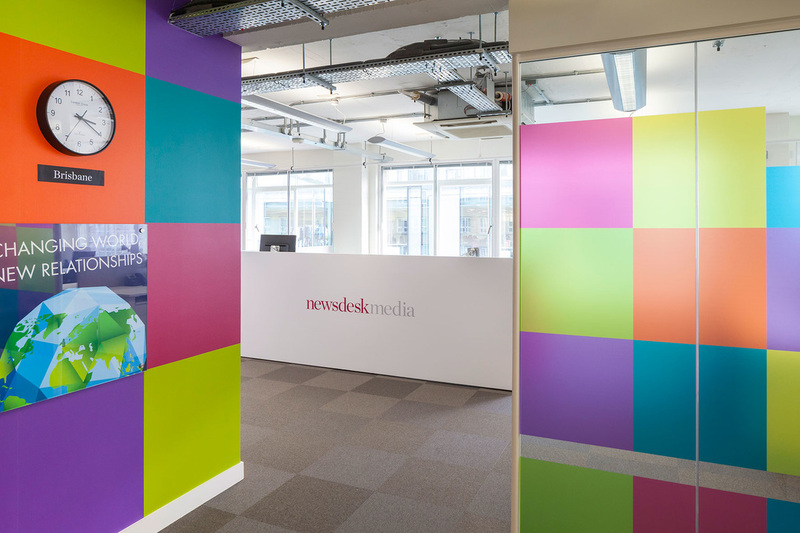 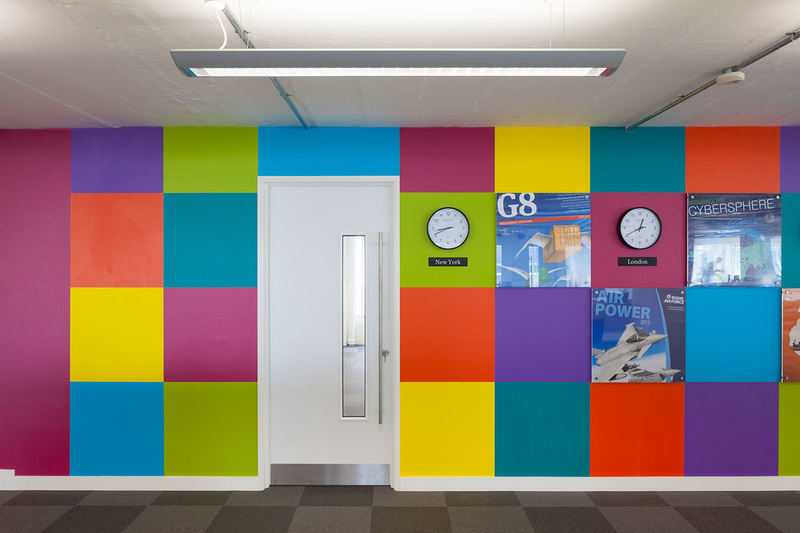 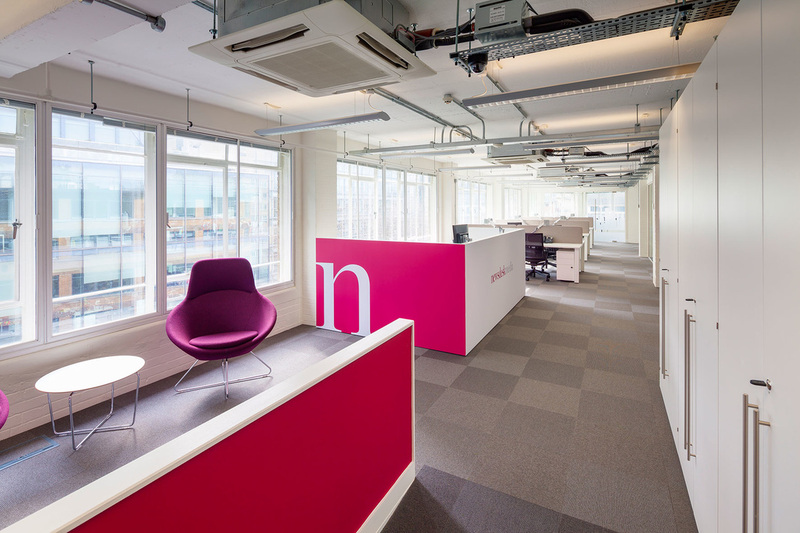 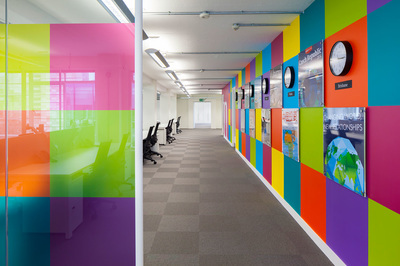 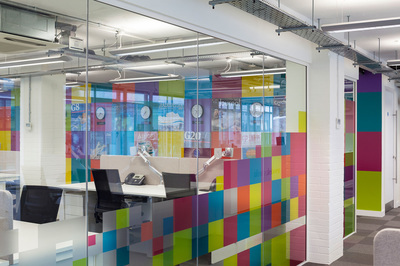 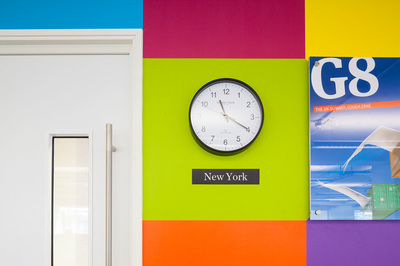 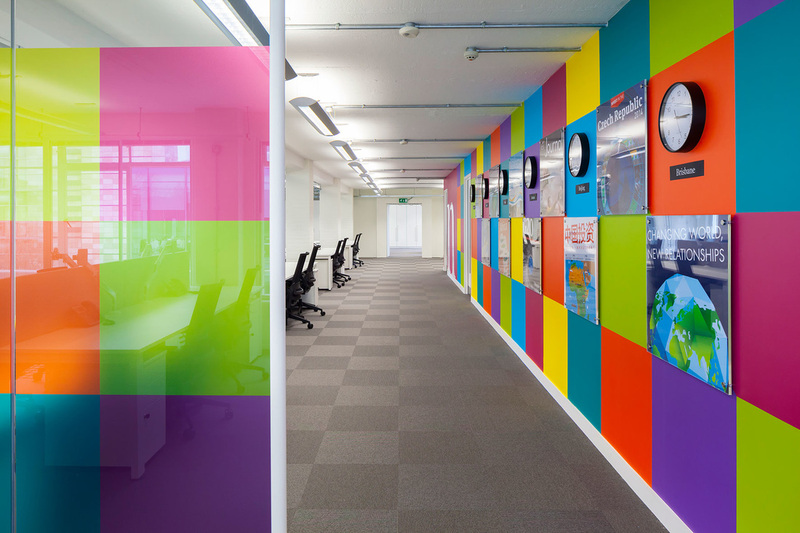 My colourful, brand-based main wall design showcased Newsdesk's best work. It also provided the international sales team with at-a-glance time zones, making their work more straightforward. 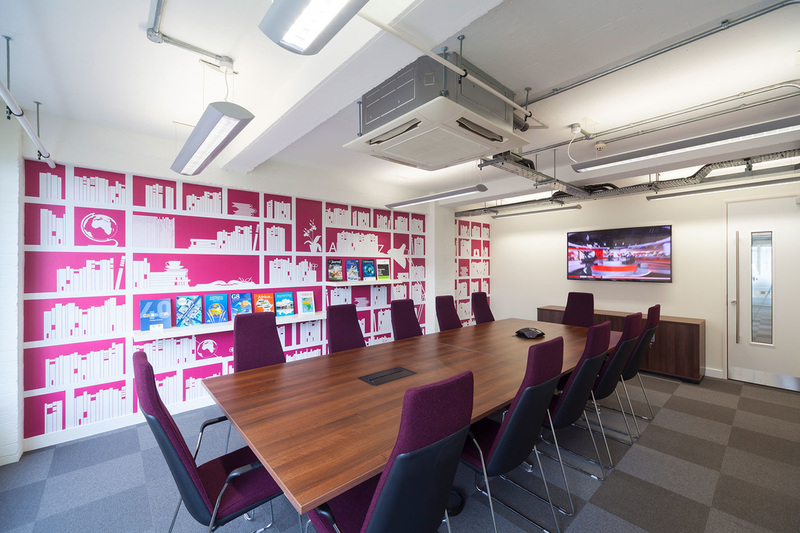 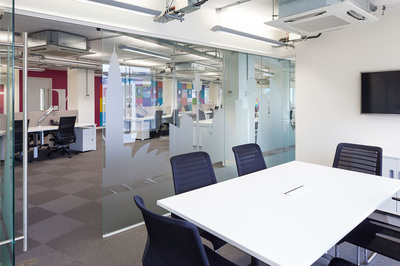 Meeting rooms and offices along an east wall provided the only natural light for the main office. 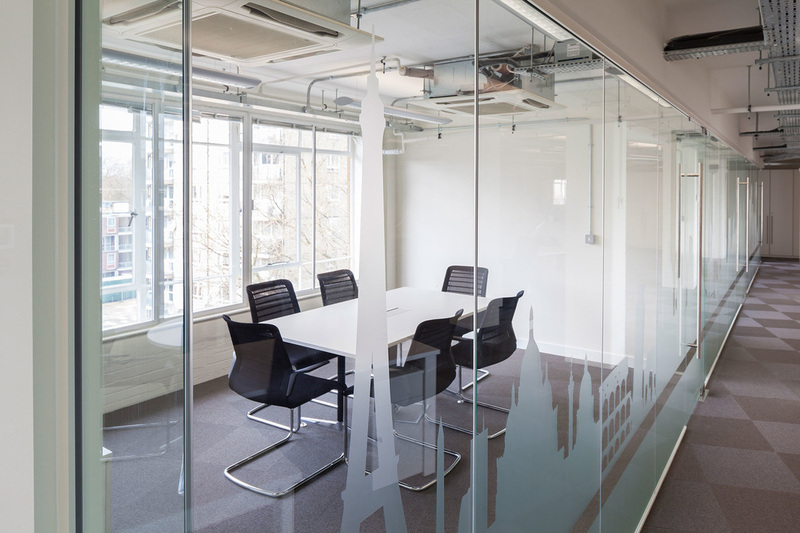 Without blocking too much light, I created privacy and partition by designing sand-blast effect landmarks that maintained the international theme, from Toronto to Kuala Lumpur. 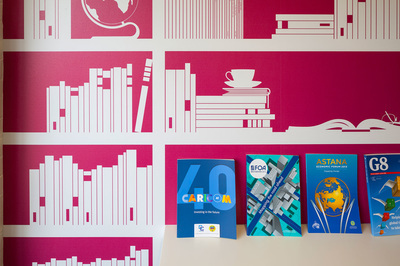 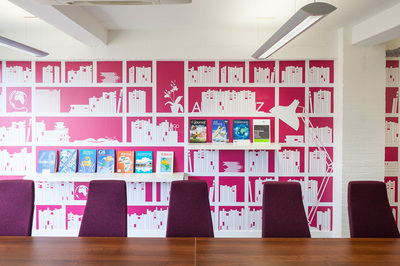 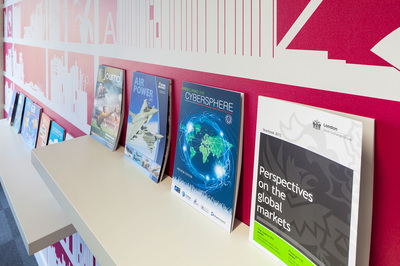 I designed the bookshelf wallpaper in the boardroom using Newsdesk's principal colour and personalised it by incorporating some of the company's actual published titles. A fake grass wall in the kitchen added a lively feelgood factor. 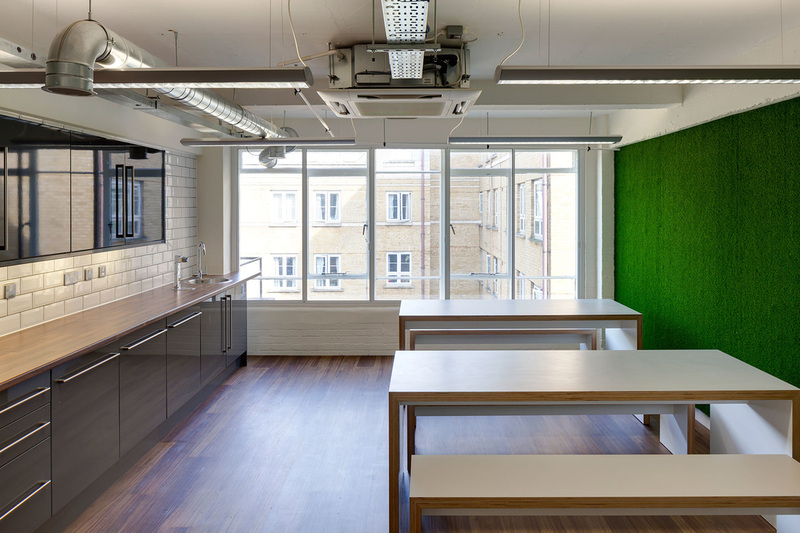 It is decorated at appropriate times with Easter eggs, World Cup football flags, Valentine's Day bunting, Halloween paraphernalia and Christmas balls and fake snow.